This spacious townhouse has a lounge with a large sofa and chairs, coffee table and occasional tables. A picture window overlooks the front terrace. There is a flat screen tv, dvd player and a radio/cd/mp3 player. The adjacent dining area has a glass table and 6 chairs. There is an extensive range of table linen for this and other tables in the property.The master bedroom has a king size bed, large built-in wardrobe, bedside tables and mirror. 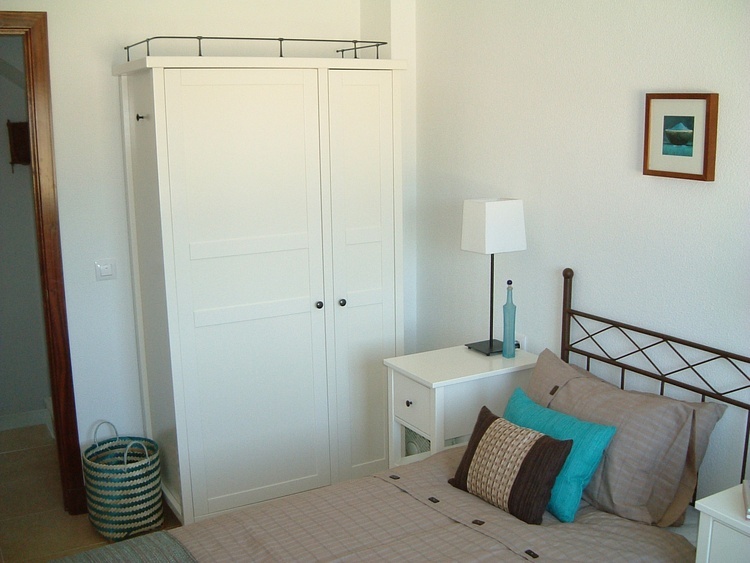 Bedroom 2 has twin beds, large wardrobe, bedside table and mirror. Bedroom 3 has twin beds, wardrobe, bedside table and mirror. 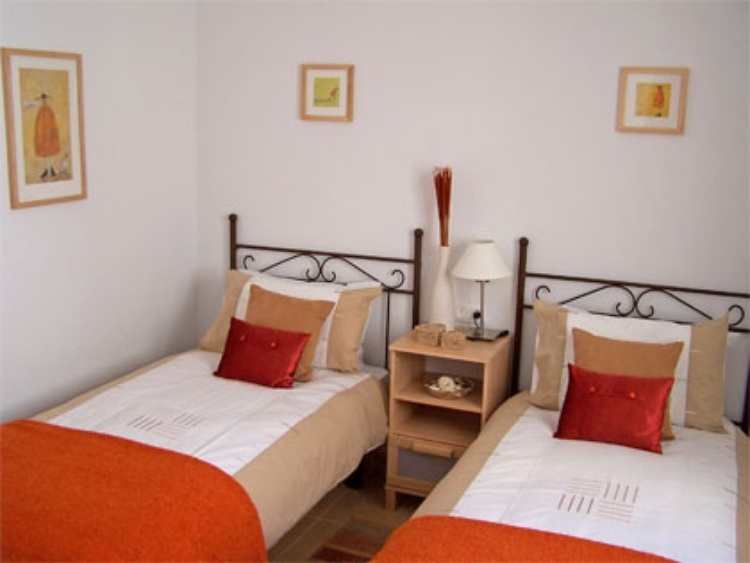 All are situated on the first floor and quality linen and towels are included with a choice of duvets or blankets. A cot and high chair are available for a small charge. The fully fitted kitchen has wall and floor units, and as well as the facilities already listed has a toaster, blender, juicer, coffee maker, kettle and extractor fan. 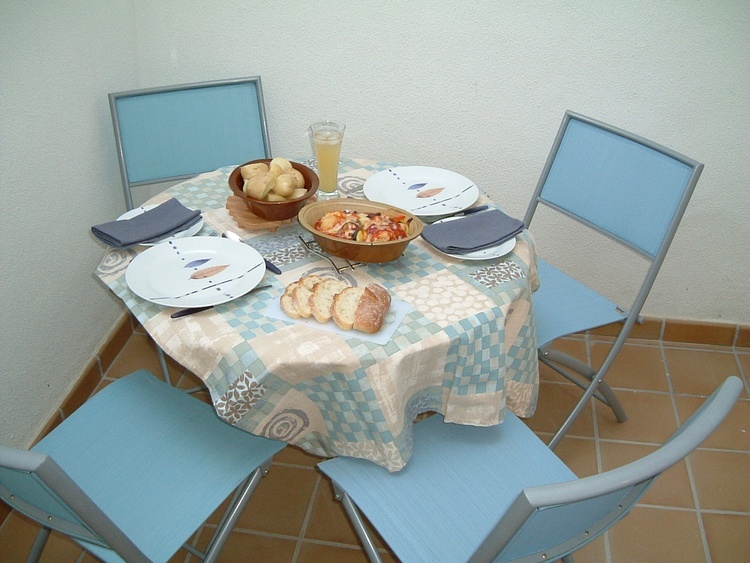 There is a large selection of utensils, china and cookware and it leads onto a secluded breakfast patio. The spacious entrance hall leads into the lounge which has a picture window that overlooks the front terrace. The rooftop solarium offers stunning views and has sun loungers, a large glass table, 6 chairs, and an umbrella for al fresco dining. With over 300 days of sunshine a year you can sit up here at any time and relax. The front terrace has a stone table and chairs and is a real suntrap and at the back there is a secluded kitchen patio.The spacious pool complex, exclusive to owners and guests, is open every day from 1 June to 15 September and has two pools with changing facilities and great views to Africa.There is a family bathroom on the first floor with bath/shower, hand basin, bidet and toilet. 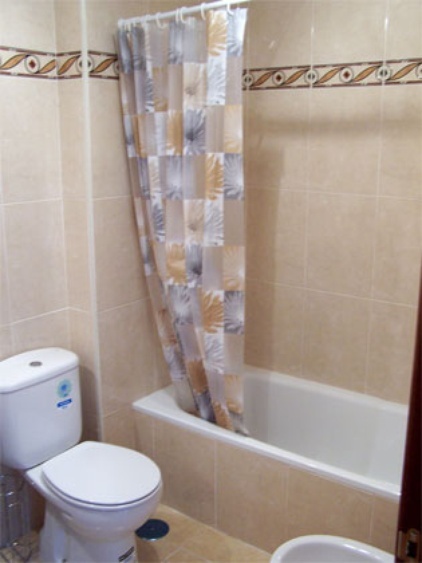 There is a shower room on the ground floor with a hand basin and toilet.All rooms are thoughtfully decorated with a selection of prints, mirrors and hangings.There are parking spaces outside the property which is a luxury in Vejer.The property is suitable for all-year use with wall and free-standing radiators available for the cooler months. There are fans in each bedroom as well as downstairs although the house keeps pleasantly cool in the summer months. 11150, Europe, Spain, Costa de la Luz ,Vejer de la frontera. 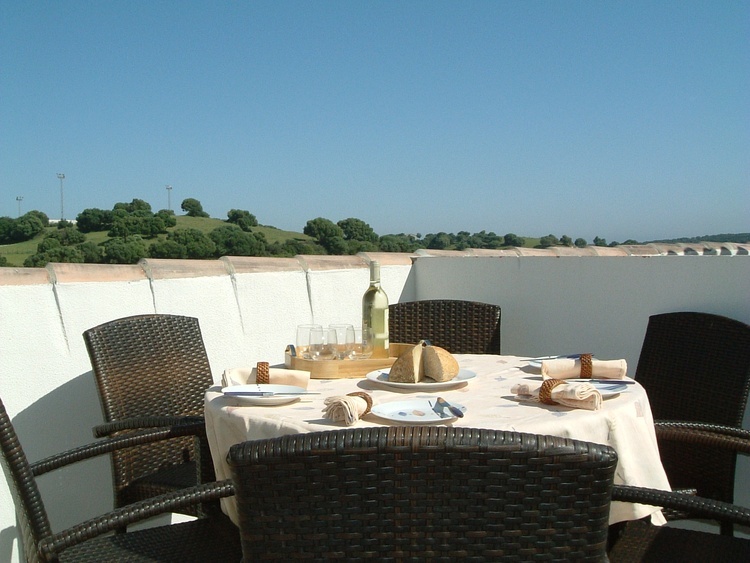 This house is situated in the beautiful white town (pueblo blanco) of Vejer de la Frontera, 200m above sea level, close to the old windmills and feria ground. The town has many historic buildings with lots of Arab and Moorish influences and has been granted the status of an Area of Historic and Artistic Interest. Within the narrow winding streets of the old town there are numerous restaurants, bars, banks and shops. 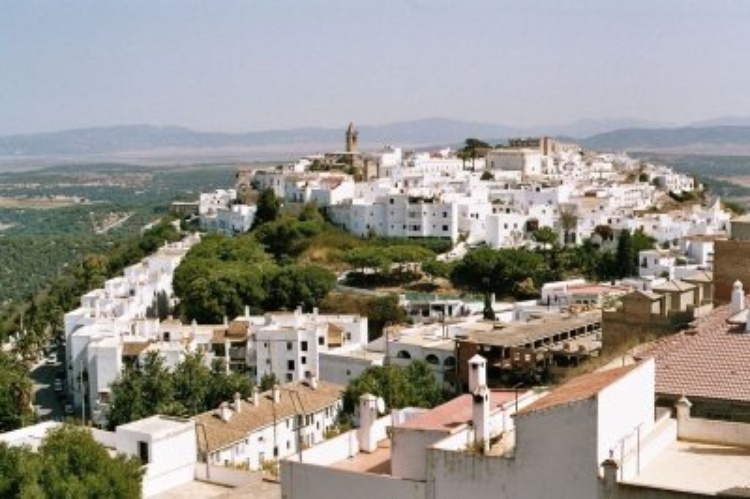 Vejer is surrounded by the Las Brenas and Marismas Natural Parks, and the beautiful sandy beach of El Palmar is 10km away. 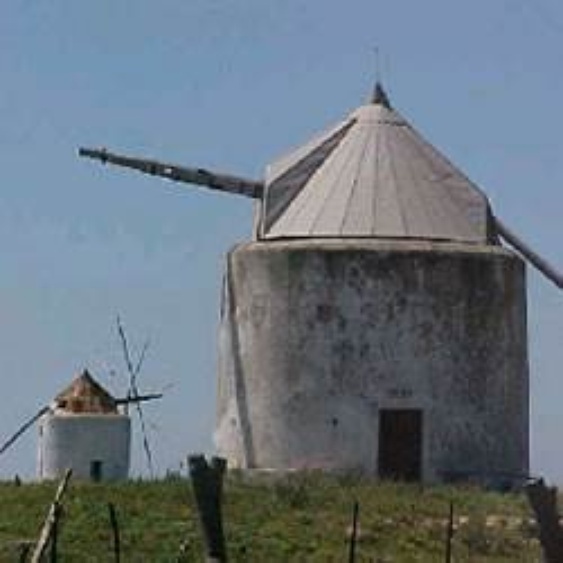 Inland are the towns of Medina Sidonia and Arcos de la Frontera, and along the coasts are the beaches of Los Canos de Meca, Cape Trafalgar, Barbate, Conil de la Frontera, Zahara de los Atunes and Tarifa. For golf enthusiasts the 18 hole course of Montenmedio is 5km away and courses designed by Severiano Ballesteros at Novo Sancti Petri are a 20 minute drive. 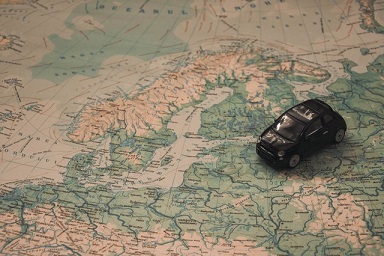 Excellent road networks also allow you to explore Cadiz, Jerez, Seville and Gibraltar. Preferred arrival time is 16.00 with departures by 10.00 but we will try and accommodate any special requests. 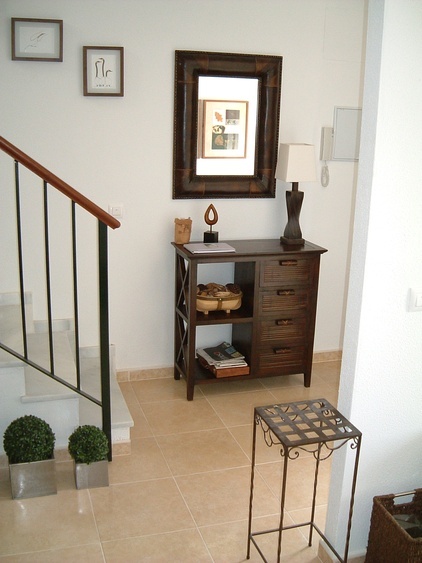 Our local agent who lives in Vejer will meet you at the house, at whatever time, show you around and hand you the keys. Welcome packs are available at 25 euros each.Confirmed bookings require a 20% deposit of the total rental amount paid by bank transfer. This payment must be made within 7 days of the bank details being provided. Final payment is due 6 weeks before arrival by bank transfer, or immediately if it is less than 6 weeks. A two minute walk from the house is a baker, grocer, general store, DVD rental, gym and internet cafe. 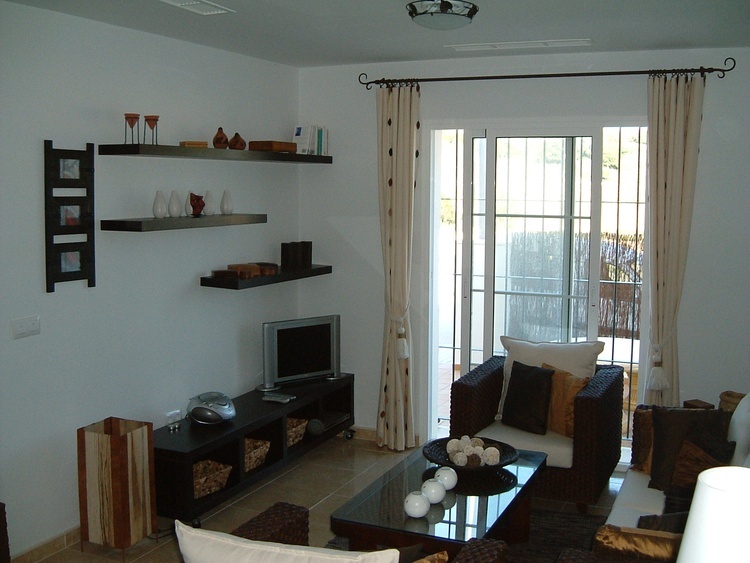 5 minutes away is a supermarket along with cash machines and numerous shops. There is a wide range of restaurants in the town to discover as well as bars and cafes with regular music events. Further afield you can take a Bodega Sherry tour, go on a ferry across the Straits to Morocco, see the famous Jerez dancing horses, take a boat trip into the peaceful surroundings of Donana National Park, go whale watching from Tarifa or take the cable car up the Rock at Gibraltar and enjoy duty free shopping. 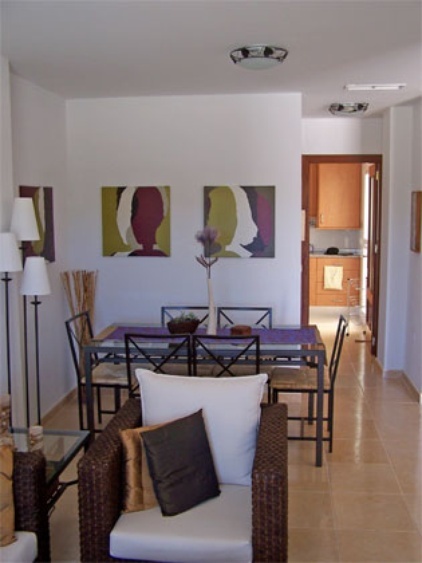 The Costa de la Luz has abundance of blue flag sandy beaches a short distance away. The historic fishing village of Sancti Petri has water sport facilities, Tarifa is a mecca for wind-surfing enthusiasts and at Bolonia beach there are Roman ruins in excellent condition (free to EU passport holders).Long term and winter lets are available by separate arrangement. Please contact us for special monthly rates.Why not escape the winter blues and stay in an area that enjoys over 300 days of sunshine a year and winter temperatures of over 50 degrees Fahrenheit?